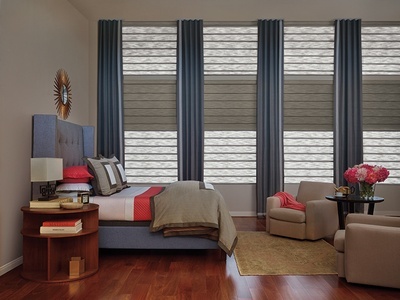 We will come to you with samples of our Hunter Douglas products to help you visualize your perfect look. Save yourself time with one call! No need for multiple trips to a showroom that involve lugging books and samples to and from the store. You will have the products directly at your fingertips in your own home. Contact us today to get started! 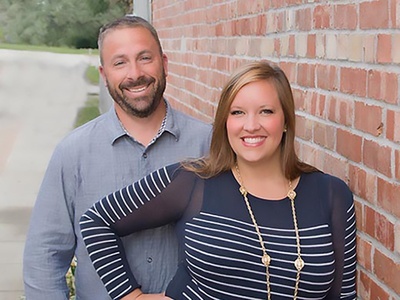 Chris and Ashley Goering are committed to providing you with the best products and style for your window coverings. We are here to help you today, and we will be here in the future, when you may need us again. Hunter Douglas is offering exciting new products and operating options in 2018, all available here at Bright Line Custom Blinds. A highlight is the Duolite® dual-opacity option, now available for Vignette® Modern Roman Shades. Vignette Duolite® provides soft, natural light or soothing darkness by combining a light-filtering or sheer front shade with a room-darkening back panel on a single roller.